Couples arrive at Lighthouse Bay Resort on Barbuda, a luxurious Caribbean hideaway, by helicopter, and are personally greeted by the entire staff. The upscale and exclusive Lighthouse Bay Resort (www.LightHouseBayResort.com) on Barbuda gives new meaning to the term “destination wedding” with a celebrity-style celebration truly unique from beginning to end. From a private helicopter ride from Antigua to Barbuda and the intimacy of being on a private island to couples exchanging vows beachside with 12 of their closest friends and family, the resort’s “Signature Champagne Cocktail Yes I do” package offers an unforgettable real-life fairytale experience. The “Signature Champagne Cocktail Yes I Do” package rates start at $52,999. Exclusivity and seclusion take on new heights at Barbuda’s five-star Lighthouse Bay Resort. Situated on its own private island upon a narrow stretch of land between 17 miles of unspoiled pink sand beach and the clear turquoise water of the Caribbean Sea to the front and the blue-green serenity of the Codrington Lagoon to the rear, privacy is guaranteed as the property is only accessible via S.V.G. (St. Vincent and The Grenadines) Airlines or helicopter. With only nine beautifully appointed suites, guests enjoy unparalleled pampering and comfort with virtually no interruptions. Each room’s amenities and technology allow guests to feel “plugged in” despite their remote location with flat screen satellite televisions, iPod alarm clock CD players, complimentary international telephone calls, personal laptops and iPads for guests’ use while on property, and Wi-Fi Internet connection. For added convenience, complimentary laundry service is available for all guests. Gastronomic pleasures are unrivaled at Lighthouse Bay as fresh, innovative cuisine and personalized daily menus include homemade breads and pastas, seafood and seasonal foods, all combined by the resort’s highly-trained executive chef to create a truly inspired dining experience at each meal. Lighthouse Bay’s location on a private island is ideal for relaxing and renewing at the beach or by the freshwater pool while taking in the spectacular scenery. Guests who want to venture off-property can visit the world’s largest frigate bird sanctuary or enjoy sailing, fishing, horseback riding and other active pursuits arranged by the hotel staff. For more information about Lighthouse Bay, call 1-888-214-8552 or 1-646-688-2903 or contact the resort’s USA Representative, Wendy Friese, at 212-616-5032, visit www.LightHouseBayResort.com and www.facebook.com/lighthousebayresort, or e-mail: info@lighthousebarbuda.com. Exclusivity and seclusion take on new heights at Barbuda’s Lighthouse Bay Resort. Situated on its own private island upon a narrow stretch of land between 17 miles of unspoiled pink sand beach and the clear turquoise water of the Caribbean Sea to the front and the blue-green serenity of Codrington Lagoon to the rear, privacy is guaranteed as the property is only accessible via S.V.G. (St. Vincent and The Grenadines) Airlines or helicopter. Discerning travelers looking for the ultimate escape now have two luxury resorts, Lighthouse Bay Resort in Barbuda (www.LightHouseBayResort.com) and Curtain Bluff in Antigua (www.CurtainBluff.com), combining for the quintessential vacation package offering the best of both islands. 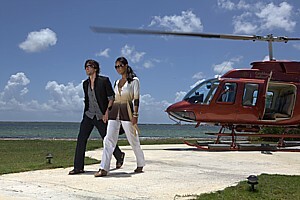 Complete with the luxury accommodations, island-to-island helicopter transfers, exquisite cuisine, and the finest, personalized service in the Caribbean, guests will enjoy an eight-day/seven-night premium vacation whether it is their much-anticipated honeymoon or a long overdue tranquil escape. “We are so pleased to be working with Curtain Bluff to offer vacationers the ‘Best of Both Islands,’” said Terrence Linton, general manager of Lighthouse Bay. “Offering this package allows travelers to experience true luxury on two islands during one vacation,” he added. “We’re happy to partner with Lighthouse Bay and provide this seamless experience for guests to enjoy this beautiful hotel and our sister island of Barbuda,” said Rob Sherman, managing director of Curtain Bluff. Rates for this exclusive “Best of Both Islands” package for two people traveling (each enjoying all the elements of this entire package) are $17,768 (from Nov. 1 – Dec. 18, 2011 and April 15 – May 14, 2012) and $16,427 (from May 15 – July 28, 2012). To book this package, please contact Wendy Friese at 212-616-5032 or e-mail: info@lighthousebarbuda.com. With only nine beautifully appointed suites, guests enjoy unparalleled pampering and comfort with virtually no interruptions. Each room’s amenities and technology allow guests to feel “plugged in” despite their remote location with flat screen satellite televisions, iPod alarm clock CD players, complimentary international telephone calls, personal laptops and iPads for guests’ use while on property, and Wi-Fi Internet connection. For added convenience, complimentary laundry service is available for all guests. Gastronomic pleasures are unrivaled at Lighthouse Bay as fresh, innovative cuisine and personalized daily menus include homemade breads and pastas, seafood and seasonal foods, creatively prepared by the resort’s highly-trained executive chef. The exclusivity and luxury afforded by Lighthouse Bay make it ideal for destination weddings. For more information about Lighthouse Bay, call 1-888-214-8552 or 1-646-688-2903, or contact the resort’s USA Representative, Wendy Friese, at 212-616-5032, visit www.LightHouseBayResort.com and www.facebook.com/lighthousebayresort, or e-mail: info@lighthousebarbuda.com. Curtain Bluff is located on 20 lushly landscaped acres on the south coast of Antigua and is surrounded by two beautiful sandy beaches. Notorious for value, the resort boasts a 65% repeat guest ratio and impresses visitors with its fully-inclusive rates that encompass gourmet meals, top-shelf bar drinks and activities in water sports, such as Scuba diving, deep sea fishing, water skiing and more. Under the same ownership and management since it opened its doors in 1962, Curtain Bluff offers a total of 72 beachfront accommodations, all with ocean views. For reservations and more information about Curtain Bluff, call 1-888-289-9898 or visit Curtain Bluff online at www.curtainbluff.com. 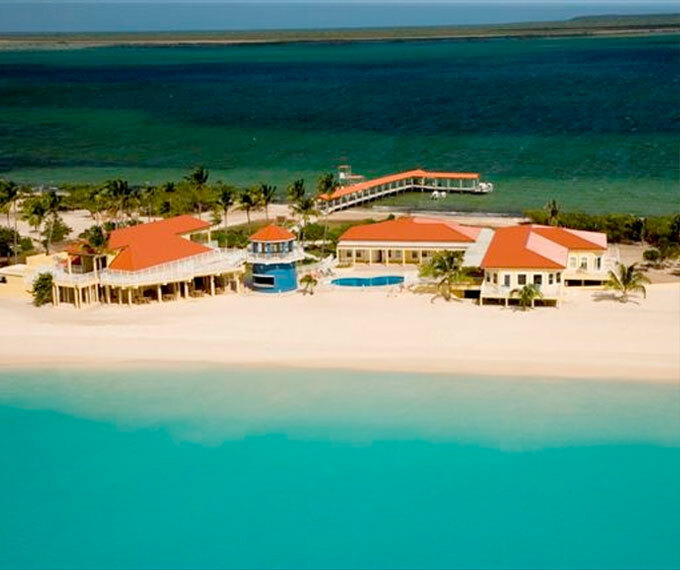 Lighthouse Bay Resort, on a private island in Barbuda, offers the seven-day/six-night, “All in the Family Together Reunion” package to afford vacationers a way to get together, relax and unwind in paradise. Picture turquoise blue waters, 17 miles of pink sand beach and gastronomic pleasures while surrounded by loved ones on your own private island. Lighthouse Bay Resort in Barbuda offers the seven-day/six-night, “All in the Family Together Reunion” package to afford vacationers a way to get together, relax and unwind in paradise. Privacy is paramount at the resort where up to 20 of your closest friends and family members will virtually “own” a private island for a week long escape complete with luxurious accommodations and superior service. The “All in the Family Together Reunion” package is available through Aug. 31, 2011 as well as Nov. 1 – Dec. 17, 2011 with all-inclusive package rates starting at $114,999 for up to 20 people. Transfers to the resort can be arranged for an additional cost to the package. Exclusivity and seclusion take on new heights at the five-star resort which is situated on its own private island with 17 miles of unspoiled pink sand beach and the clear turquoise water of the Caribbean Sea to the front and the blue-green serenity of the Codrington Lagoon to the rear. The property is only accessible visa S.V.G Airlines, helicopter and ferry service. All nine suites include satellite televisions, iPod alarm clock CD players, complimentary international phone calls, personal laptops and iPads for guests use and WiFi connection. For information or to ook, call 888-214-8552 or 646-688-2903, www.LightHouseBayResort.com, www.facebook.com/lighthousebayresort, info@lighthousebarbuda.com. Family and friends looking for the ultimate private vacation escape will enjoy the getaway of a lifetime at Lighthouse Bay Resort (www.LighthouseBayResort.com) in Barbuda with the seven-day/six-night “All in the Family Together Reunion.” Privacy is paramount with only nine suites allowing groups of up to 20 people to virtually “own” a private island for a week with luxurious accommodations, superior service and 17 miles of pristine pink sand beach. The seven-day/six-night “All in the Family Together Reunion” package includes the entire island buyout of Lighthouse Bay Resort which features nine suites, all meals and drinks, and use of a private fresh water pool. In-room amenities include: flat screen satellite televisions, iPod alarm clock CD players, complimentary international telephone calls, personal laptops and iPads for guests’ use while on property, and Wi-Fi Internet connection. For added convenience, complimentary laundry service is available for all guests. The “All in the Family Together Reunion” package is available through Aug. 31, 2011 and Nov. 1 – Dec. 17, 2011 with all-inclusive package rates starting at $114,999 for up to 20 people. Transfers to the resort can be arranged for an additional cost to the package.